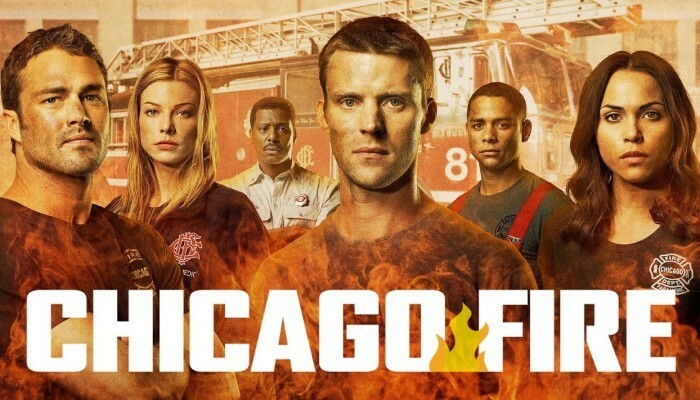 The Season Premiere of Chicago Fire Season 4 will be released on October 13 on NBC. Discover the original debut of Steven R.McQueen in the series. More than a week to be expected with the return of Chicago Fire! A Season Premiere we look forward to discovering even if NBC does not really casts pending. Indeed, as the season 3 ended on a cliffhanger that left us assume the worst for Matt Casey, we find it in a new clip of Chicago Fire Season 4 in top form. The latter has some minor injuries on the face and hands, but nothing more. The aftermath will be perhaps more psychological than anything else and we are still delighted to find him alive. As you can see in this first excerpt, firefighters will be called to extinguish a fire, but locals oppose their intervention. According to them, the house in question is a gathering point for drug addicts and do not deserve to be saved from the flames. Boden did not hear it that way then and is determined to do its job. We are also seeing a first confrontation between Kelly Severide and Patterson. In an unpublished extract from the Season Premiere Chicago Fire Season 4 , Kelly Severide lost her status as Squad Leader to be replaced by Patterson. A situation that our favorite firefighter hard to accept and we understand perfectly! In the second excerpt, we discover the new candidate of the 51 barracks, Jimmy Borelli aka Steven R.McQueen. The latter is the victim of a bad joke of his brother and will not make a very good impression on Boden will simply ask him to go home. It must be said that a firefighter who arrived half naked and smelling of beer, even as part of a joke, it does not exactly inspire confidence. See you next week to see the first episode of Chicago Fire Season 4 whose promo photos are available on Mybreezylife. Game of Thrones Season 5 : Episode 10, is Daenerys in danger?